Capt. Cyril Nevil Paget was born on the 7th of February 1891, the son of Claude Paget, a Commander in the Royal Navy, and Theodosia Tudor Stewart (nee PARNELL). In the 1911 census he is described as a Law Student & Lt. in the 25 Bn. London Regt. He married Eveleen Mary Lanktree in 1928. He died on 19 May 1980 at Worthing, Sussex. He was admitted to Gray's Inn in 1912 entitled to practise as a Barrister-at-Law. He fought in the First World War in India. He held the office of M.I.A. of Burma between 1938 and 1940. He gained the rank of Lieutenant-Colonel in the service of the Indian Army (General List). He served in the Second World War. He held the office of Chairman of the Public Service Commission of Burma between 1946 and 1947. He held the office of Chairman of the Public Service Commission of Ceylon between 1947 and 1950. "The next morning (21st June 1917) it was "C" company's turn to stay in camp, so the other companies went out. About 10 am it was signalled down that "B" company were in difficulties, so up we went to them. We reinforced them on the right, and did a bit of bullet dodging. Total casualties 1 killed 4 wounded. Capt. Paget O/C "B" company had half his face blown away with a dum dum but he is still alive and doing fairly well now." The next day the 45th Brigade was dispatched to destroy the village of Nanu at the head of the Splitoi Valley, while the 43rd Brigade dealt with the settlements in the vicinity of the camp. The Londons rceeived orders to occupy the heights to the South, for the purpose of covering the destruction of one of the villages by other troops in the brigade. This movement was strongly opposed by the enemy and two platoons of "B" Company were subjected to very intensive fire in the course of which one man (Private Burtenshaw) was killed and several others injued, including the company commander Capt. Paget. "C" Company were despatched to their support and, by means of concentrated rifle and machine gun fire, the enemy was driven off and the heights secured without further loss. 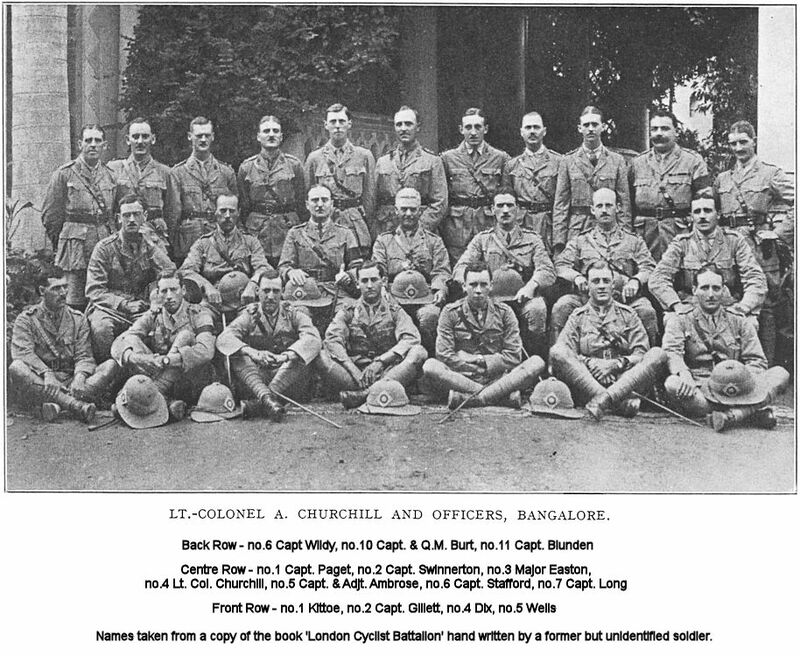 He was also mentioned numerous times in the battalion magazine "The Londoner"